This version of the tortilla warmer turned out pretty close to perfect. It's almost 10 inches across which is the size needed for the fajita style tortillas. 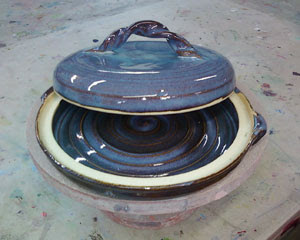 Low,wide forms are a challenge for me especially low, wide lidded forms. But I have a few more of these to make now that I have the process down. I'm also progressing on the pylon project using slab techniques. Had a bit of a breakthrough in that area around mid-January. 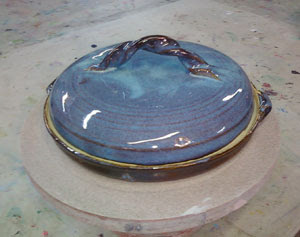 Off to a great start, pottery-wise this year. Gotta keep up the momentum.